Life can really surprise us by adding a whole new twist to our stories. Sometimes we are prepared for it but mostly we have no idea when that bend in the road will suddenly come upon us. To be ready next time, watch out for these indicators which mean that your life as you know it is going to change. It’s hard when you have to cut someone out of your life or when someone does that to you. There is a lot of pain involved either way and these aren’t easy things to do. But sometimes it is necessary to let some people go. 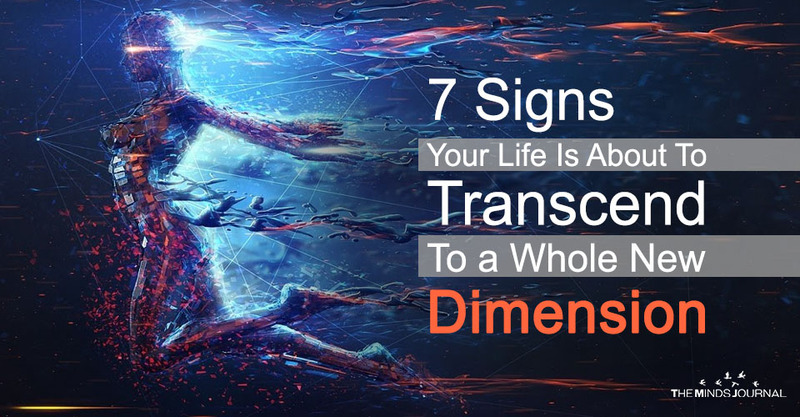 When these relationships come to an end, it might mean that you are consciously choosing to transform your life into something better than what it is currently. Usually, this means that you are changing as a person. You are developing and outgrowing some of the people around you and they no longer do anything but pull you down. When you change, the world around you changes; so if you are leaving some people behind, be ready for life itself to change. The Universe is constantly working to take you to the places you need to go. The closer you get the harder it tries to communicate with you so that you don’t wander off onto the wrong path. If you keep saying the same number or certain combinations over and over again, the Universe is most likely trying to tell you something. These messages are sent in various ways. They might come in through other creatures, certain thematic occurrences, running into one person repeatedly, etc. When the Universe is going out of its way to ensure that you understand something, it is best to listen because this is the knowledge that you need to get by. This is one sign that you cannot miss. If you work on regularizing your body’s patterns, the consequences will be nothing but good. Usually, our sleep cycles get disrupted when we are stressed, anxious, and overworked. Your rest becomes fitful and is often accompanied by extremely vivid, disturbing dreams and bouts of sleep paralysis that leave you feeling more tired than anything else. If you are able to sleep regularly and for a good amount of time, it usually means that you are making positive changes in your life. You are becoming less prone to succumbing to the pressures of your life and you are able to find a balance between your career and your personal life. This is going to bring about a lot of other changes that you might not have been expecting when you started out. You will begin to feel like the choices you are making and the work that you are doing are different from what your soul wants from you to do and not aligned with the universe’s plans for you. It is very common for people to get stuck in a rut that they struggle to get out of. They’re not at the place they’re meant to be and they can only get out of it if they are ready to dig themselves out. Life will lend a helping hand but only if they begin the process themselves. When you look forward to changing and you feel like you are ready for it to come something big is waiting to happen.